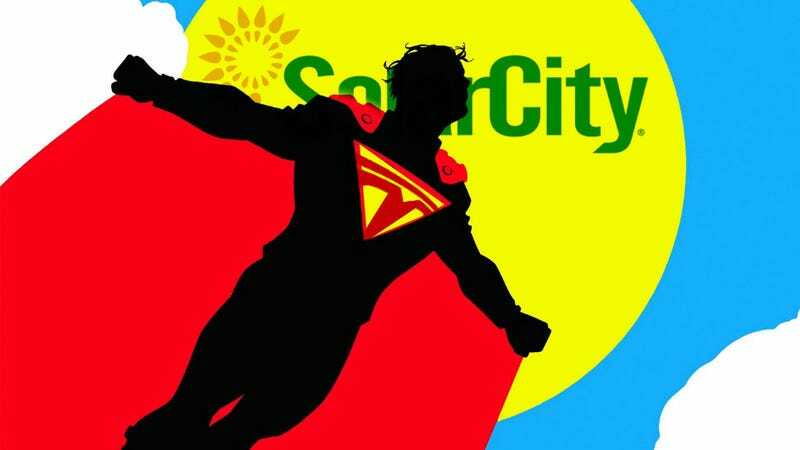 SolarCity, the solar-energy company that sounds like an exhibit at a kids’ science museum, has Elon Musk as its chairman and largest stockholder. Tesla, the electric car company that sounds like a metal band, also has Musk as its largest shareholder. In a staggering coincidence, Tesla just officially bought SolarCity for $2.6 billion, the AP reports. Tesla’s stock is up a bit from the news, up 0.2 percent to $235.30.
. . . the overarching purpose of Tesla Motors (and the reason I am funding the company) is to help expedite the move from a mine-and-burn hydrocarbon economy towards a solar electric economy, which I believe to be the primary, but not exclusive, sustainable solution. Things could still hypothetically stop, since SolarCity is in a 45-day “go shop” period, where it can solicit other offers (though it’d have to pay Tesla about $80 million if it backed out) and Tesla’s (and SolarCity’s) non-Musk shareholders get their say, too. Still, if this all happens, the newly solar-powered Tesla will be closer to being a complete vertical solution for home and automobile energy. Well, provided it’s sunny enough.